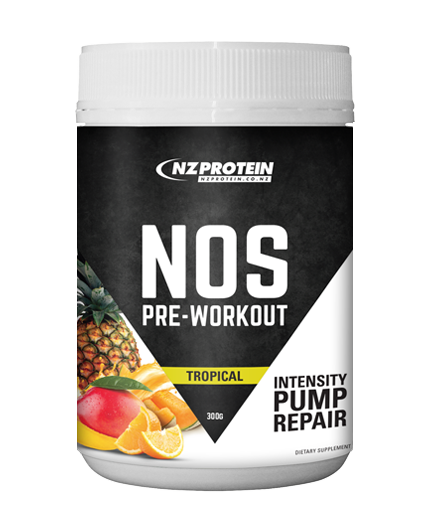 NZProtein's Pre Workout is a potent supplement that's formulated to increase intensity and drive during physical exercise. Intensity - train for harder and longer Increase your strength so you can push harder with the effects of key ingredients proven to fuel training for maximum results. 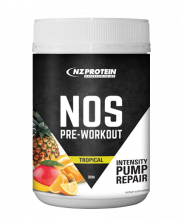 Pump - take your training to new levels Extra fuel to increase NOS production and blood flow is key to maximise muscle contraction and support the muscle pump during training. Repair - maximise your results Provide fuel to muscles to support lean muscle tissue repair and recovery. Feed your efforts by shuttling nitrogen to exhausted muscle cells. Beta-alanine is a naturally occurring amino acid that is reported to significantly increase strength, lean body mass and muscular endurance by helping to manage the pH of the muscle cells. In other words, it helps buffer the acidic buildup that can occur in muscle, which allows you to maintain your strength, speed, and power for a longer period. In essence, you may be able to train harder and longer because of it. It is reported to be incredibly synergistic with creatine and BCAAs. Therefore, when used/stacked properly, this supplement may be an amazing tool to help you take your training to new levels, resulting in new personal records and added lean muscle. Beta-Alanine is responsible for 'tingling' or 'itch' skin sensations that you may experience. This is called paraesthesia and lasts up to 60-90 minutes. This is the most common side effect and paraesthesia is not harmful in any way. By Boosting Metabolism - Ingesting caffeine jumpstarts the process of lipolysis, which is when your body releases free fatty acids into the bloodstream. This occurs when your body is breaking down your fat stores to convert it into energy. In other words, caffeine boosts your metabolism slightly and helps you burn fat. By Giving an Energy Boost - caffeine is a stimulant. It increases alertness and wards off drowsiness temporarily, which means that you can perform certain tasks for longer. However, this isn't just limited to mental tasks - this includes physical tasks as well, such as running or lifting weights. This means a little shot of caffeine may give you the energy you need to give 100% during your workout. And giving 100% in the gym means you may get the results you want more quickly. Niacin is vitamin B3. 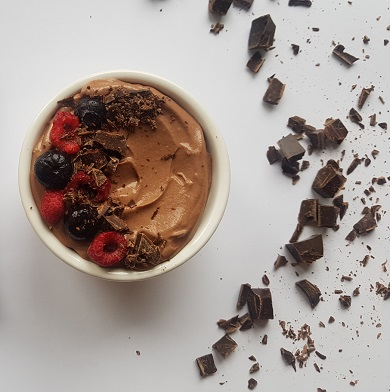 It's involved in nearly 60 metabolic processes related to energy production and ranks high for bodybuilders by virtue of its critical importance in providing training fuel. Niacin's most basic function is to release energy and can give you that drive if you're struggling to find the motivation and energy to train hard. Niacin also increases vascularity as it causes blood vessels to widen which allows more blood to flow through them. Supplementing with creatine increases the amount of free cellular adenosine triphosphate (ATP) available in the body. ATP is a primary energy source that helps with various biological processes including muscle contraction. This energy also helps to fuel high-intensity, short duration exercise such as weight lifting, sprinting, or any other exercise that uses fuel quickly. This, in turn, may help to improve lean mass, strength, and recovery. The primary role of L-Citrulline in the body is to support the optimization of blood flow to the tissues, which is critical for helping you not only perform your workouts to the best of your abilities, but also to speed up recovery. 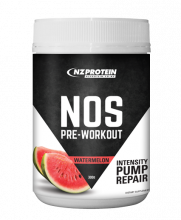 L-Citrulline functions in the body by being converted to L-Arginine and then into nitric oxide (NOS). This nitric oxide is then going to be involved with vasodilation. This vasodilation is what helps increase the amount of blood and oxygen that is delivered to the working muscles, helping to prevent both mental and physical fatigue. L-Arginine alpha-Ketoglutarate is a cell volumiser. This means it can help to expand cells in the body, which may lead to a greater delivery of nutrients including glucose, amino acids, and oxygen. 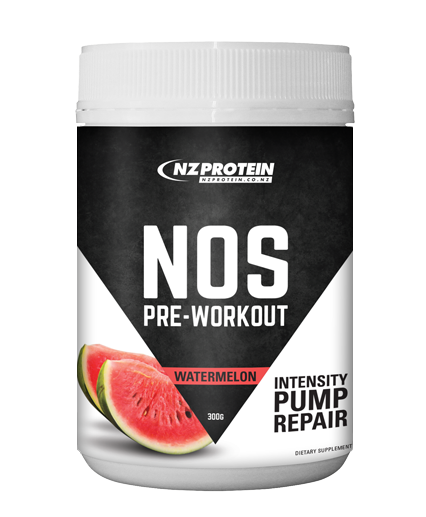 It also increases nitric oxide production, which in turn can increase vascularity and help to get a better pump in the gym - especially for those undertaking hypertrophy style weight training. Therefore, supplementing with L-Arginine has been reported to help boost muscular endurance and stamina. L-Glutamine is the most abundant amino acid in the body, and is the primary transporter of nitrogen to muscle cells. There are three Branched Chain Amino Acids (BCAAs) - L-Leucine, L-Isoleucine, and L-Valine. These essential amino acids cannot be produced by the body and make up about 1/3 of amino acids present in our body. BCAAs can be depleted from muscle under intense training, and a deficiency in any one of them may cause muscle waste (catabolism). Amino acids are responsible for protein synthesis and BCAAs may be an important component for effective muscle growth and improved recovery. Mix 10 grams (one scoop) in 200-300ml of cold water in a shaker, depending on desired taste. Take before exercise. Maximum two scoops in any 24 hour period. Adults 18+ only. Rated 4.88/5 Based on 8 customer reviews. Pump was great, not a huge hit on you but definitely gives you that good clean focus. The taste was pretty surprising and as always with these products so damn good. This company is fantastic! Always high quality, effective, cost-effective products that do exactly what they say they will. Intensity, pump, and repair? Delivers on all fronts! Another great product I highly recommend. Allergen warning: BCAA contains traces of soy lecithin.